Robert Decareau, a noted food scientist who helped invent the processes necessary to develop the microwave oven, died Sunday in a rehabilitation center in Nashua, N.H., after suffering from Alzheimer's disease. He was 82. Dr. Decareau, a longtime resident of Amherst, N.H., began his career in 1953 when he worked as a research and development scientist for Raytheon in Allston. He helped transform modern cooking with his early work on the microwave oven, said his wife, Rosa. "He wanted to develop something smaller that could be in every kitchen," she said. "A lot of the work was done in our home." After working at Raytheon, Dr. Decareau moved to New Jersey in 1960 to work for the T.J, Lipton Co., developing freeze-drying processes for food products. Dr. Decareau later worked for Litton Industries in Palo Alto, Calif., where he helped develop microwave ovens that would soon be found in modern commercial kitchens. After settling in Amherst, Dr. Decareau worked at the US Army Natick Laboratories in Natick, where he developed freeze-drying techniques that would be used to store meals eaten on the battlefield and in space. Dr. Decareau's passion for food science began in chemistry. He published nine books, including "Microwaves in the Food Processing Industry" and "Microwave Processing and Engineering." Dr. Decareau was a founding member of the International Microwave Power Institute and served as editor in chief of the Institute's scientific journal. "He was a real calm guy," said one of his daughters, Karen Ross, of Auburn, Maine. "I think he raised his voice at me once." Dr. Decareau was born in Cambridge and grew up in Burlington and Arlington. He graduated from Arlington High School in 1943. After high school, Dr. Decareau joined the US Navy as an antiaircraft gunner on the USS Randolph in World War II and was stationed in California. He later joined the Army as a lieutenant and was stationed in Austria during the Korean War. Dr. Decareau met his wife while he was in Linz, Austria. Rosa (Kaiser), a native of Romania, said she moved to Austria about the time Dr. Decareau was stationed there. The couple met in May 1952, were engaged on July 4, and married in December. A few months later, they moved to the United States so he could earn his doctoral degree. Dr. Decareau attended the University of Massachusetts at Amherst, where he earned a bachelor's degree in chemistry in 1949, a master of food science degree in 1951, and a doctorate in food science in 1953. He was a charter member of the Phi Tau Sigma honor society. 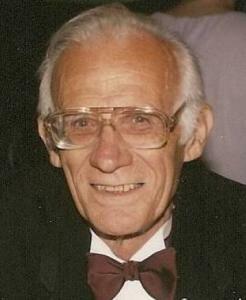 Dr. Decareau's family said he had a good sense of humor and loved to travel, play tennis, square dance, paint, and listen to classical music, especially pieces by Johann Sebastian Bach. He was also a passionate Red Sox fan. "He was an all-around fun-loving person," his wife said. "He lived a quiet life, but he was a very loving, devoted husband." In addition to his wife of 56 years and his daughter Karen, Dr. Decareau leaves four other daughters, Ann of Milford, N.H., Loren of Nashua, Erika Daly of Hollis, N.H., Maria Petit of Merrimack, N.H.; a son, David of Nashua; seven grandchildren; and one great-grandson. A funeral service has been held. A private burial will take place at a later date.